Beverley Jean Cunningham (Bev) was born in Carbondale, Illinois, to Charles R. and Berniece L. (Merritt) Cunningham on November 14, 1943. She spent her grade school years with her family in Helena, Montana, where she attended Broadwater School. After school and weekends, she helped her grandmother, Emeline Merritt, who owned a personal care home facility. Bev always enjoyed working with the elderly. The family moved to Miles City in 1956. She attended Lincoln Elementary (6th grade), Washington Junior High, and Custer County High School, where she met the love of her life, Ron Askin. They were married in 1962 and were blessed with five children. Throughout her marriage, Bev worked alongside her husband in the family water well drilling business as bookkeeper and office manager. Bev was a member of the Order of the Eastern Star and acted as Worthy Matron in 1976-1977. Her father, Chuck Cunningham, worked with her as Worthy Patron. Bev had a lifelong love of learning and education, which lead her to serve on the Miles City Unified School Board in the early 1970’s. At the age of 43, Bev enrolled in the nursing program at Miles Community College, graduating with an Associate Degree in 1989. Shortly after, she enrolled in the baccalaureate program at the University of Mary in Bismarck, North Dakota, graduating in 1992. She continued her education earning a Master’s in Nursing Degree in 1994. During her nursing career, Bev worked for the Veteran’s Administration as a staff nurse, infection control nurse, education and training coordinator, and Associate Chief Nurse for Education. Her parents came to live with Bev and Ron when her mother developed terminal cancer. This was Bev’s first experience with Hospice. While working with the care providers, she developed a deep respect and admiration for this program. She later worked for Holy Rosary Healthcare as the Case Management Nurse for the Medicaid Waiver Team, Hospice Manager, and Director of Senior Services. Bev is survived by her husband of 56 years, Ron and their children, Douglas (Tami) Askin of Miles City, Kathleen (Mark) Netland of Katy, Texas, and Ronald C. (Celeste) Askin of Charlotte, North Carolina, her sisters Carolyn Angel of Belgrade, Montana, and Jean (Kevin) Fisher of Ocean Park, Washington, her brother Chuck (Janet) Cunningham of Canyon Creek, Montana, nine grandchildren, and ten great-grandchildren. Bev will also be forever remembered by her numerous nieces, nephews, extended family and dear friends. Bev was preceded in death by her parents, sister Jacqueline Cunningham, daughter Colleen Askin, and son Daniel Patrick Askin. 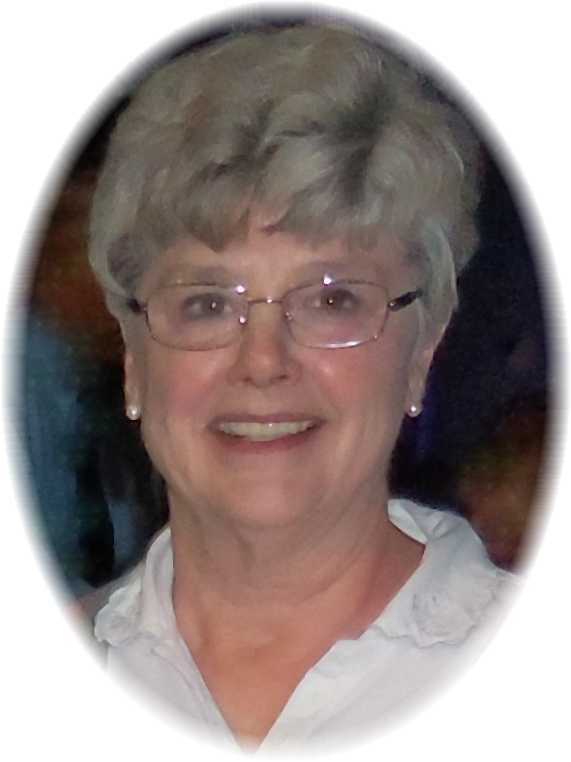 Those who so desire may make memorial donations in memory of Bev to Holy Rosary Healthcare Hospice and Palliative Care, Miles City Soup Kitchen, or to the charity of their choice. Visitation will be held on Wednesday, February 6, 2019 at Stevenson & Sons Funeral Home with family receiving friends from 4:00-6:00 p.m. Funeral services will be held on Friday, February 8, 2019 at 11:00 a.m. at Stevenson & Sons Funeral Home in Miles City. Interment will follow in the family lot of the Custer County Cemetery. Condolences may be sent to the family by visiting: www.stevensonandsons.com. U put up a great fight. RIP. My sympathy. Sending all our love and prayers to the Askin family. Bev left a beautiful legacy in her amazing family. Her beautiful smile will be greatly missed, and we are forever grateful for our memories with your family! Prayers to Bev’s family. She always had that beautiful smile and time to say hello whenever I saw her. Our hearts go out to all of you at this very sad time. Know that you are in our thoughts and prayers. We know how much you will miss her. Hold your memories close. 75 years of life.Aunt Bev made memories in a lot of people’s lives .I am sorry to here of her passing. She lives in my heart such a great lady. Hugs and prayers to all the family. I am sorry to hear of the loss of your wife, a mother, grandma and great grandmother. May the memories of this lifetime comfort your family now and always. May God bless you in this time of sorrow. Thoughts and prayers go to the family of Beverley. Prayers that all the good memories will help in the days ahead. She will be missed by the many lives that she touched. So Sorry for your loss, thoughts & prayers for all the Askin family. My deepest condolences for your loss, wishing you comfort and strength during this time. Ron and family , my thoughts and prayers are with you !!! So sorry for your loss! Beverley was a classmate in Miles City; my condolences to her family. Beverley was a wonderful classmate in high school. my condolences to her family. So sorry to hear of my classmate/friend’s passing. Sending my condolences to all the family. Bev was beautiful inside and out and I loved her. I am so sorry to hear of Bev’s passing. I first met Bev when we served as Grand Pages together in 1976 in Great Falls. It was a pleasure to meet her the second time after our move to Miles City in 1978. She was a wonderful lady. Doug, Tami, and the entire Askin family: I just now saw this announcement in the newspaper and was stunned. I’m so sorry to learn of this sad news and express my most sincere condolences. Bev was such a delight to have as one of my awesome “non-trad” students at MCC. All my best at this difficult time of loss. May you find peace in your grief and loss. Cherish your memories…my sympathies. We are sorry for your loss. She will be greatly missed. Your whole family is in our thoughts and prayers. We are so sorry for your loss. May God Bless you all as you adjust to life without out her. I enjoyed seeing her in the halls of HRH, SE always had a smile. I’ll remember her as a classy lady. Our prayers. Very Sorry Askin family God Bless ! So sorry for your loss! Thoughts and prayers to all! There are a few angels on earth and Bev was one of them. She helped so many with a smile and grace and always a kind heart. We may have lost her on this earth, but heaven gained a beautiful angel to watch over her family and friends. God bless her family at this most difficult time. To the entire Askin family: We were so sorry to hear of Bev’s passing. Keep your many memories close to your heart. She will be with you always. So sorry to hear of Bev’s passing. Our thoughts and prayers are with you. Ron and family, I am very sorry to hear of your loss. God be with you. Our deepest sympathy is extended to the Askin family. Our sincere condolences to all of Bev’s family. Our thoughts and prayers are with you at this most difficult time. My thoughts and prayer are with you. She was a beautiful person. Ron & Family–so sorry for your loss–my thoughts & prayers are with you all. We are so sorry to hear of your loss. We pray Gods comfort over you all. Our thoughts and prayers are with the Askin family. I first met Bev when she was a nursing student and I got to know her at the VA she always was so kind and sweet and always met you with a beautiful smile. Always loved her and her kindness. We are saddened to read of the passing of Bev. It is our hope and prayer that all of you will find peace and healing and know you are never alone. May our loving Father envelop each of you in His love today. So sorry to hear about Bev she was a great lady . Hugs and Prayers are with you all. So sorry to hear about Bev’s passing. I will always remember her being mom to all of us growing up on the North Side of M.C. God Bless all of you. Sending my condolences. Such a hard time for your family. My deepest sympathies for you all. Bev was an amazing woman that I’m blessed to say I got to know well. I will forever enjoy the memories of coffee with Ron and Bev and Doug. Bev- you will be missed. When I moved to Miles City to start high school, Bev (and her best friend Peggy Krokker) made a huge impression on me. They were friendly, classy, and very welcoming to someone who knew only a handful of people. Bev maintained that classiness her entire life, and Miles City is worse off for having lost her. My sympathy goes to her family. Our sincere condolences to all of you. So sorry for your loss. Bev was a very special lady and a pillar of our community. A life well-lived, lives on and on in the hearts of many! Our sincere condolences to you, Ron and family, in your loss of a very special lady and a pillar of the community. A life well-lived, lives on and on in the hearts of so many. You are all in our thoughts and prayers. Please let us know if there is anything we can do. We are so very sorry for your loss, but so appreciative and in awe for what Bev did for this community. Even just the impact at Holy Rosary and to our patients is immeasurable. So very sorry for your loss. My thoughts and prayers go out to all the Askin family. Ron, Doug, and the Askin family, my condolences for the loss of a very impactful woman. God Bless.